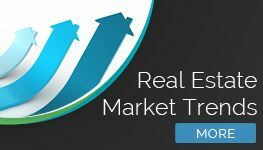 (SanDiegoRealEstateBuzz) – It's officially summer... and while it may seem like the whole city is outside enjoying our beautiful weather, the San Diego real estate market isn't taking any time off for summer break! 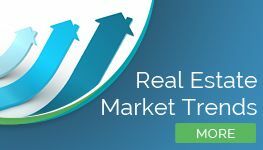 As expected during the (historically) hot summer selling and buying season, home sales, prices and inventory are on the rise, while the average days spent on the market remained relatively steady. In good news for home buyers, interest rates dropped slightly. 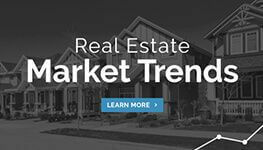 As summer heads into its final stretch, all signs point to continuing opportunities for those seeking to sell their home, as well as those seeking to buy this season. As we swung into July, a total of 6,276 homes were available in San Diego. Of these, 4,464 were detached homes and 1,812 were attached homes. Overall, inventory grew by 10 percent month over month, with detached home inventory growing by 9 percent and attached home inventory increasing by more than 13 percent from June to July. Taking a look back to July 2017, we see that the number of homes for sale increased by more than 15 percent year-over-year, from 5,433 in 2017 to 6,276, representing an upward trend. Home sales increased by 2.5 percent, moving from 3,146 sold in May to 3,226 sold in June. Breaking these numbers down, we see that detached home sales increased by almost 1.5 percent month to month, with 2,124 homes sold in June as compared to 2,073 sold in May. As for attached homes, growth was a bit more pronounced with a 2.7 percent gain from 1,073 sold in May to 1,102 sold in June. As for a year-over-year comparison, a total of 3,566 homes sold last June. This represents a 10.5 percent decrease in home sales from 2017 to 2018. In June 2018, detached San Diego homes for sale spent an average of 26 days on the market. This represents an almost-4 percent increase from May's average of 27 days. Attached homes spent a slightly longer time for sale, increasing from an average of 22 days on the market in May to 24 days in June, or a difference of 9 percent. As for June 2017, detached homes spent an average of 29 days on the market, marking a 10 percent decrease year-over-year. Attached homes spent, on average, 21 days for sale, a 14 percent difference from 2017. The median sales price of both detached and attached homes rose slightly from May to June of 2018. Detached home prices increased by about .75 percent, from $650,000 to $655,000. 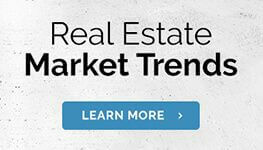 Attached home prices increased by just over 1 percent, from $422,000 to $427,500. In June 2017, the median sales price of a detached home was $620,000, representing 5.6 percent growth over the year. Attached homes show a 3 percent rise in price, increasing from $415,250 in June 2017. In good news for those seeking a mortgage loan, interest rates dropped slightly from June to July, decreasing from 4.46 percent to 4.39 percent. Last July, interest rates were still holding at 3.93 percent. These numbers are consistent with the slow, steady rise we've been seeing over the past year. It's still a sellers' market, but given that interest rates are (slightly) lower and that home prices haven't increased substantially over the past month, it's still a good time for home buyers in San Diego.